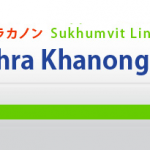 The BTS Asok station is a BTS skytrain station is on the Sukhumvit Line in the Watthana and Khlong Toei District of Bangkok. 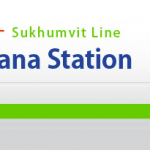 This BTS station is located on Sukhumvit Road at the MRT Sukhumvit Station on Sukhumvit Soi 21. There are a number of hotels and business in the area and it is the start the Bangkok’s Red Light districts such as the Nana Entertainment Complex. 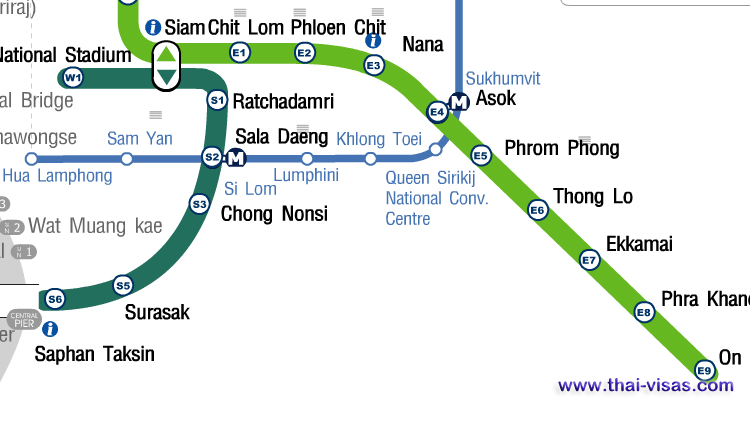 The BTS Asok Station is between the BTS Nana Station and the BTS Phrom Phong Station on the Sukhumvit Line in Bangkok. 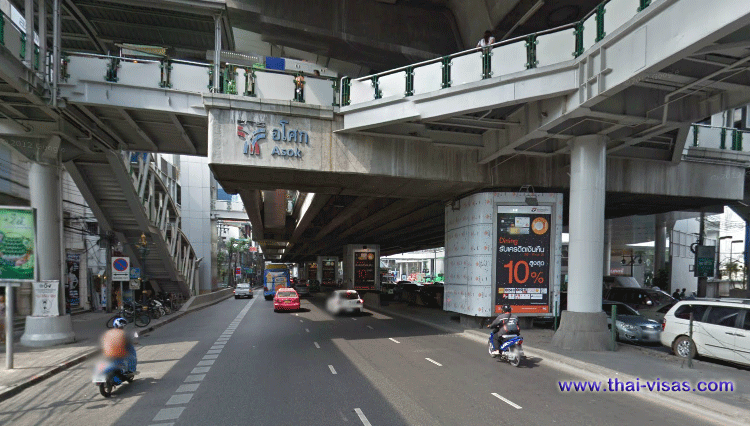 The BTS Asoke Station (Asok) is one of Bangkok’s busiest business district after Silom. The area is how to large modern glass clad buildings, high-end serviced apartments and some of Thailand best hotels. It is also in the heart of Thailand’s nightlife district. The area around Asok is very popular with expats and tourists alike as it is the heart of the nightlife district in Thailand. It is also home to many international businesses and other high-end condo units and serviced apartments. The area is well known for its nightlife and there are also many large international companies in the area. Below is a brief list of hotels, nightlife and shopping and entertainment in the Asoke area. 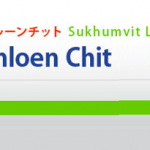 City Lodge Sukhumvit 9 Hotel – well known hotel in Bangkok and popular. Ambassador Hotel Bangkok – another hotel that is well known in Bangkok. Adelphi Suites Hotel – the hotel is one of the best hotels in Bangkok and popular. 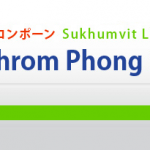 Grand Millennium Sukhumvit Hotel – new hotel and 5 stars with good location. 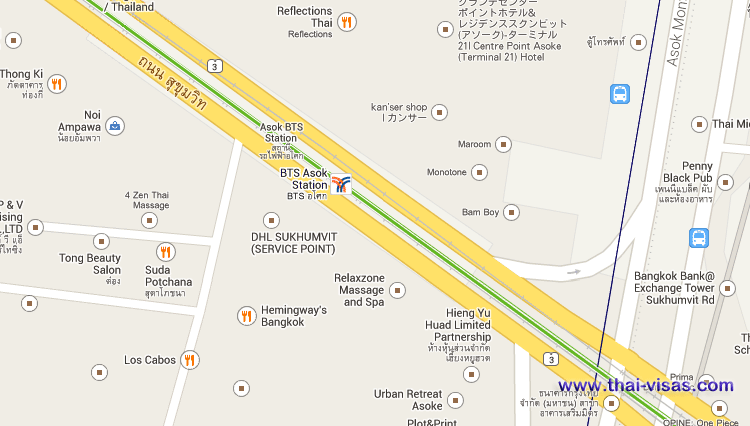 Sacha’s Hotel Uno – good budget hotel in Bangkok with an excellent location. City Lodge Sukhumvit 19 Hotel – budget hotel with a regular stream of customers. The Westin Grande Sukhumvit Hotel – well known 5 star hotel in Bangkok. Wellness Residence – very good reputation and well known in Thailand. Frienz – reasonably priced Japanese cuisine at an affordable price in Asoke at lunch time. Hemingways Bangkok – well known restaurant in the Asoke area. Limoncello – another great Italian Pizza place.